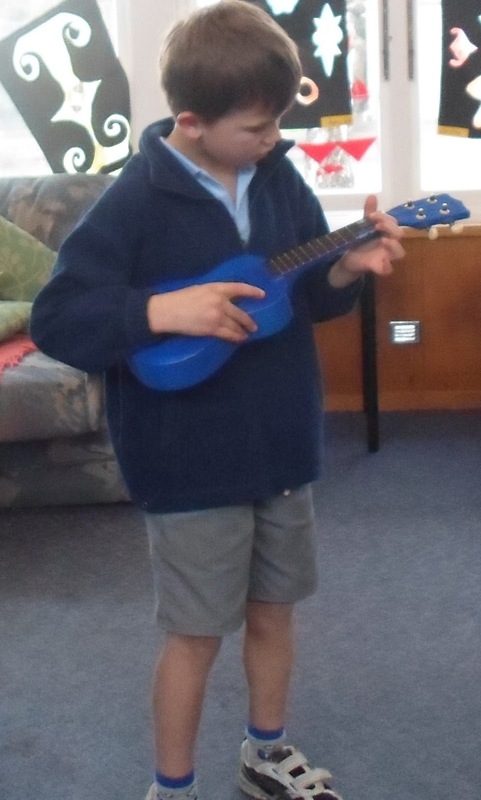 Jack the super achiever practising his picking skills on the ukulele. Hi Jack, you look like you are concentrating really hard. It looks like you really enjoy playing. Is it hard to play the ukulele? I would like to learn to play the ukulele. Do you think you could teach other people how to play? It looks like you're training really hard. Why are you doing the ukulele? I am learning to play a song on the ukulele. Hi Jack you look like you are working hard. Is it hard playing the Ukulele, and did you have fun at the Ukulele Jam. From Claudia. Do you enjoy playing the Ukulele? Has it been interesting playing the ukulele? I learnt how to play the ukulele at my school. At Warrington our class did the ukulele.